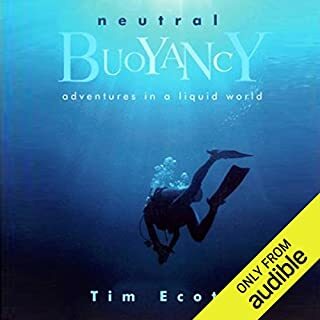 In Neutral Buoyancy, journalist and diver Tim Ecott takes you on a guided tour of the history of undersea exploration and the emergence of diving culture. He tells the extraordinary story of man's attempts to breathe underwater, from the sponge divers described by Aristotle, to the development of 16th-century diving bells, to the invention of modern scuba equipment. kind of a slow start but then really picks up. I enjoy this book very much but did not prefer the narrator. a little bit dead pan.